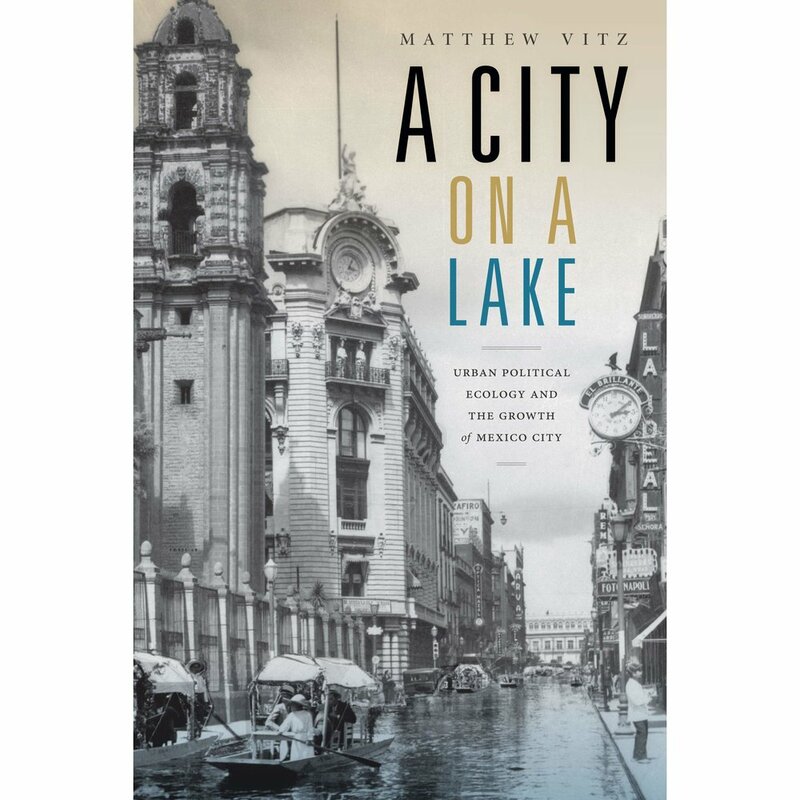 A City on a Lake by UC San Diego History Professor Matthew Vitz tells a pained and difficult history of Mexico City. The book uses academic language and vocabulary, and references many places, things and actors from Mexico, resulting in very thoughtful treatment. The book is a history, presenting a story of the city that we can learn from. It also shows the movements and actions of the past that are still part of the cities political environment. The book recounts mostly an pre World War II history attempting to explore “Urban Political Ecology and The Growth of Mexico City.” Vitz is argument that we can learn from the past presented here. Mexico City was criticized by those who saw the transformation of the area from more naturalistic to urban. The city struggled with inequity, environmental, and engineering challenges. Once considered a beautiful area, the city struggled in the throughs of urban development. The city historically struggled with sanitation, forestry, air quality, and water issues with key players and actors seeking positive political changes chronicled. There were also efforts in Mexico to create nearby parks and forest reserves for those who wanted to visit the outdoors. One might find issue with the book in that it does not recount more recent times and the present. We can learn from the past here, but maybe it is not all still with us. The book has many references to people and places that might not be familiar with people who have not visited or studied Mexico’s history. As such we are passengers of Vitz who understands the subject enough to provide interpretations and conclusions. The book also is very well researched and referenced, and there are many helpers mentioned in the acknowledgements. As such there are lessons to be learned here with those who struggle with urban ecology and development. One of Vitz conclusions is that inequity is one of the major problems. There are the wealthy who have better access parks and have better living conditions. Mexico City has also had floods, a dust bowl problem, and sanitary problems in the past. There are also the poor in the city who have have been more affected by these environmental ills. These seem to be lingering problems that need to be continually addressed. This is a thoughtful and well researched treatment of among other things, environmental inequity, and as such is not attack, but a critical argument about the field and the management of Mexico City that can be learned from. A City on the Lake is a welcomed addition to the history of Mexico, Mexico City, and well as the field of urban ecology. Vitz does try to teach a lesson from this history and Mexico City should be on the radar of those who struggle to improve the environmental conditions for urban people, especially the poor. The book though does not have an lot of jargon, but there is academic language here which makes this book more suitable for an academic audience or those who have studied in these and related areas. Part of the Radical Perspectives: A Radical History Review Book Series, the book seeks to point out problems and promote change. It does identify issues and address concerns, and as such it will make local actors or those from similar scenarios more informed, but it is up to contemporary actors and politician to redress the sometime failings of the struggles of the past. With this, they might need or have needed to be academic. Vitz, Matthew. A City on a Lake, Urban Political Ecology and The Growth of Mexico City. Duke University Press: Durham and London. 2018. 338 pages. ISBN 9780822370406. ISBN 9780822372097 (ebook) ($27.95) pbk. : alk. paper.